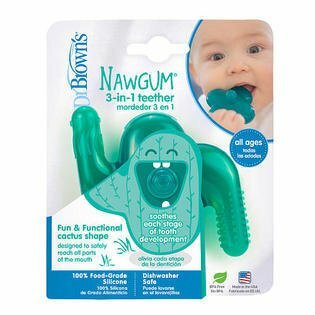 Nawgum is non-porous, seamless, and made with food grade silicone. The teether is also nontoxic, BPA-free, and Consumer Product Safety Commission (CPSC) compliant, which is a prerequisite for many vigilant parents today. Additionally, Nawgum is dishwasher safe, allowing for quick and easy sanitizing.